1 bedroom (double plus twin) and a double pull out sofa bed in the living room. 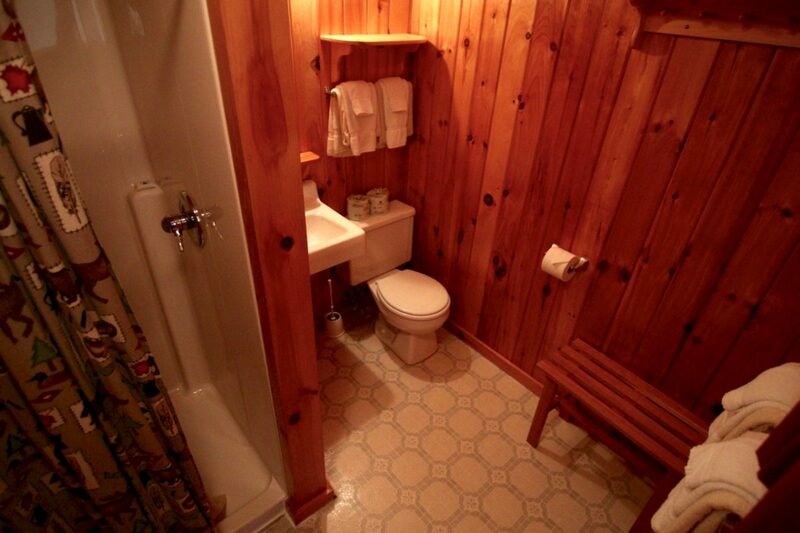 Bathroom has a stall shower. Sleeps up to 5. 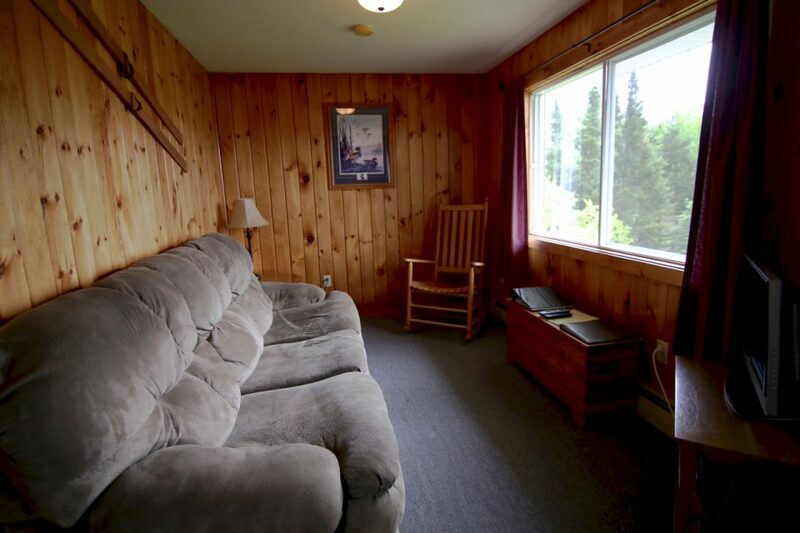 This one-bedroom efficiency is a perfect cabin for a Great North Woods getaway for two. 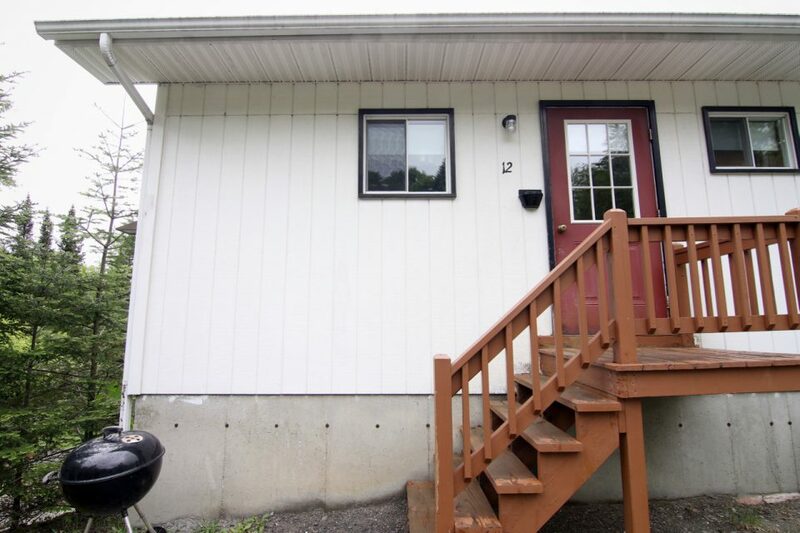 With comfortable seating, a fully equipped kitchen and great views of First Connecticut lake and Magalloway Mountain! Check in time is 3:00 pm and check out time is 10:30 am. Please let us know if you will be a late arrival. 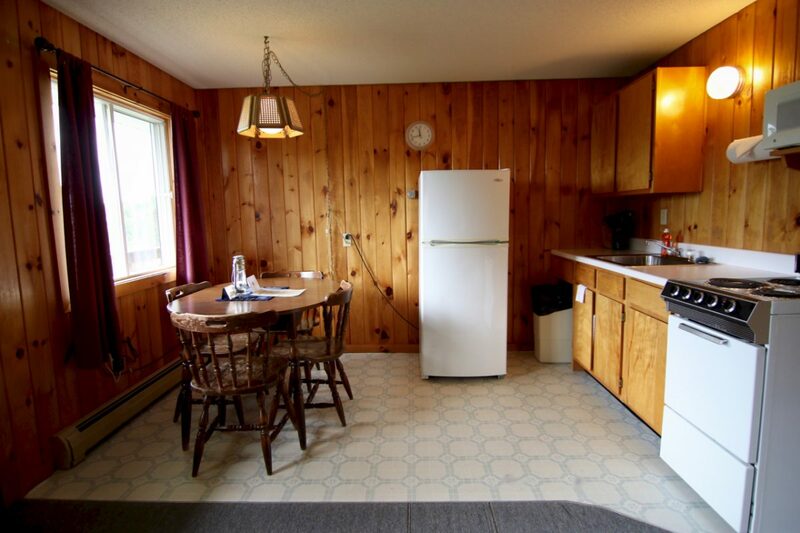 Summer Rate	 $110.00 a night for 2, $42 per additional adult. Summer Week Rate	 $660.00 for 2, $252 per additional adult. 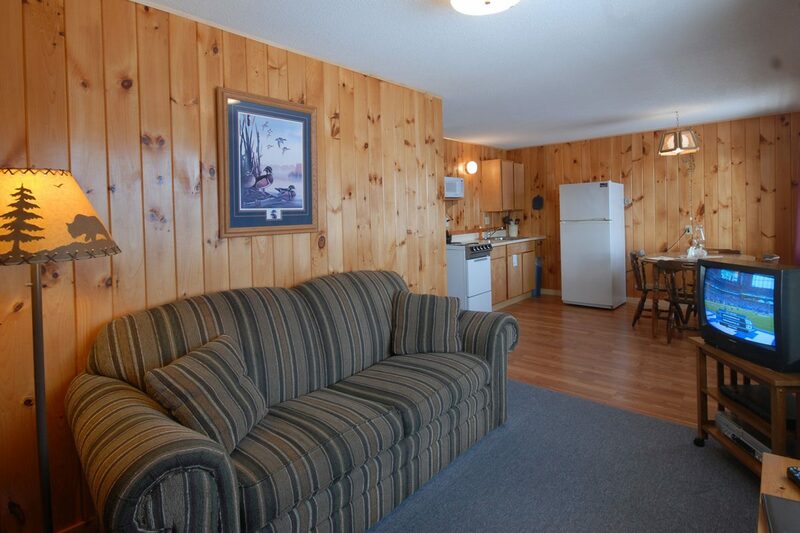 Single Rate	 $95.00 per night, May 1st to November 30th. 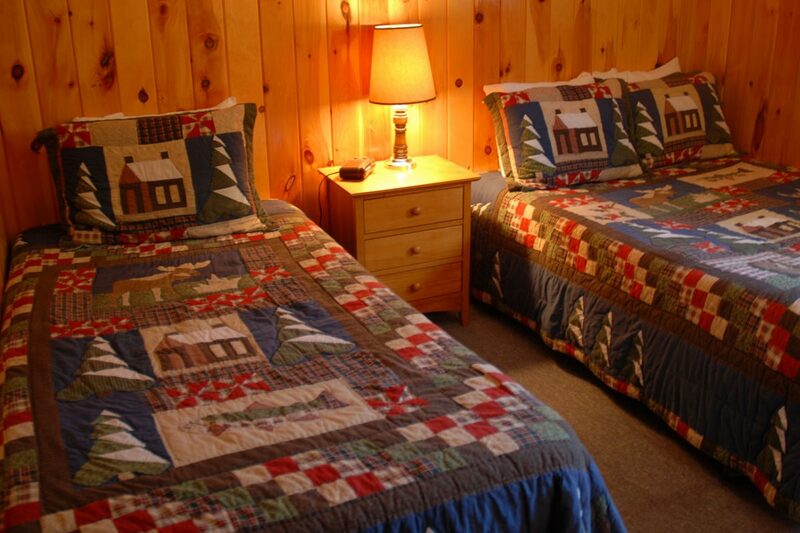 Winter Rate	 $110.00 a night for 2, $42 per additional adult. We had a wonderful stay! We went moose watching and saw lots of moose! We really enjoyed Pittsburg. Wonderful place to stay. Loved everything from the decor to what was here for us to use-everything we needed! 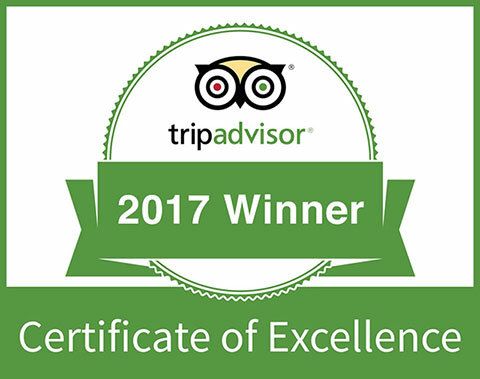 Comfortable beds and great smelling linens! Enjoyed staying at Lopstick! Our room was very clean and cozy. 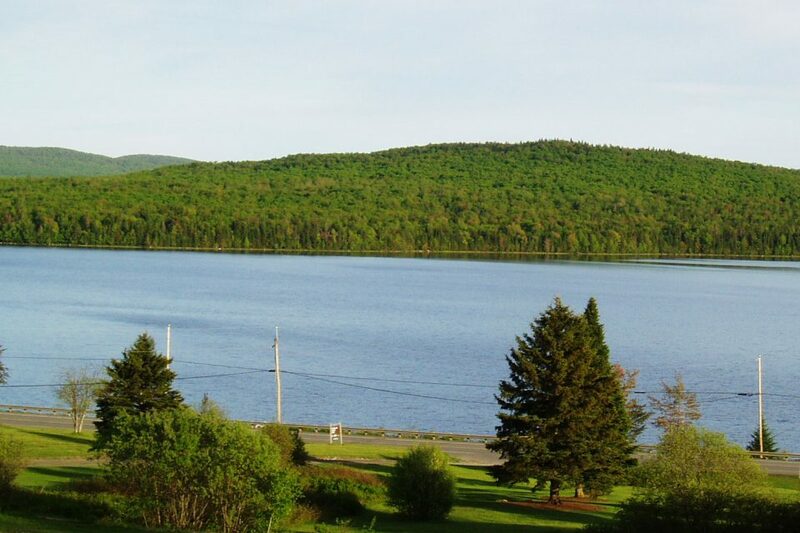 Not to mention the beautiful view of 1st Connecticut Lake! Had a great time, this was our second time up here. We will come again! Great people and very friendly!